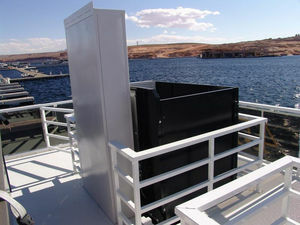 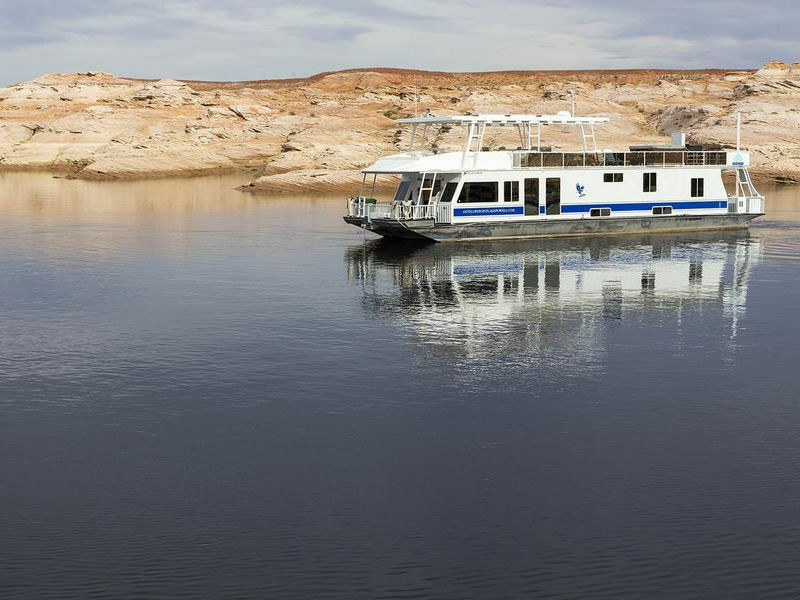 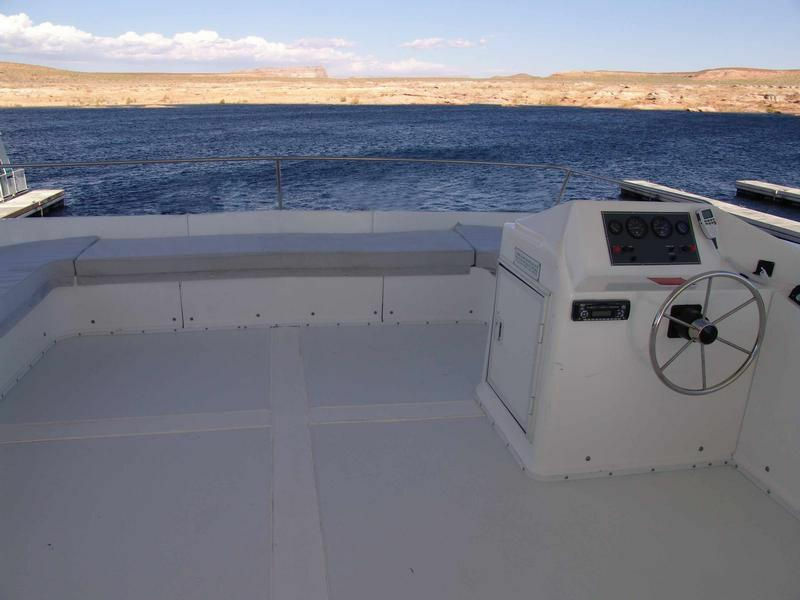 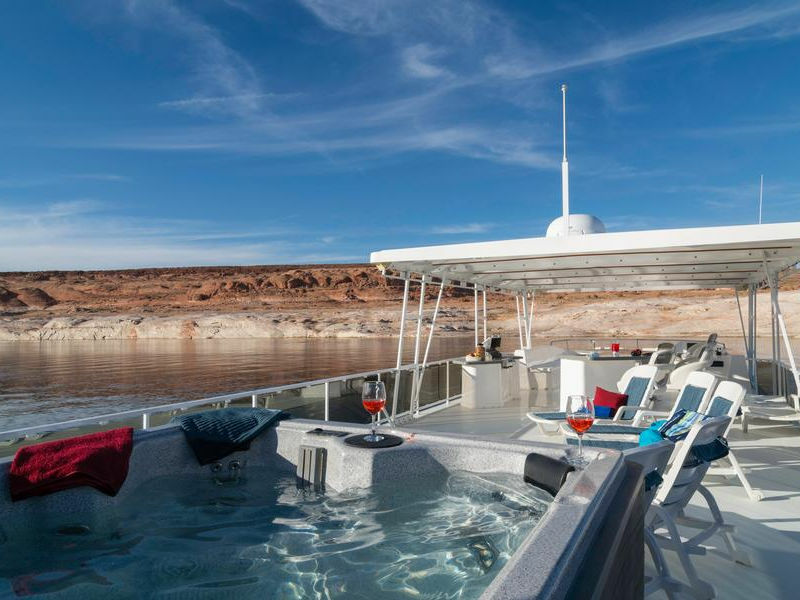 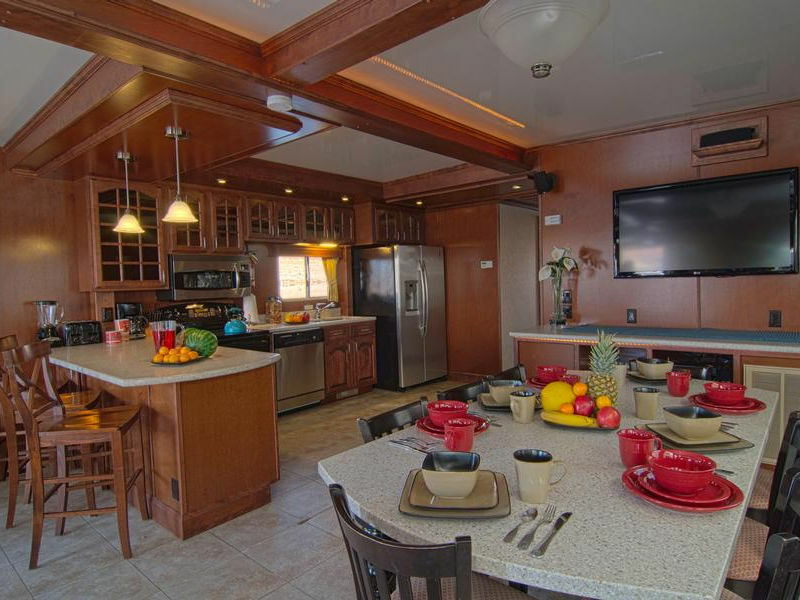 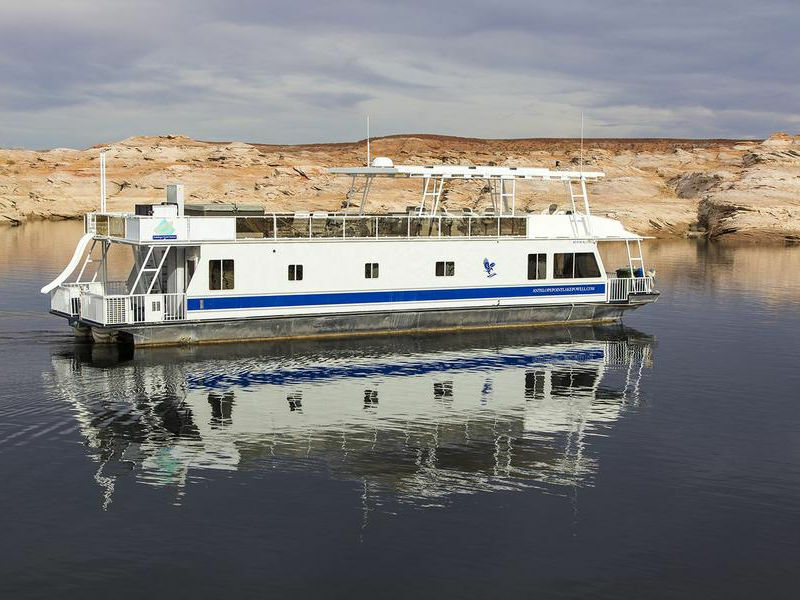 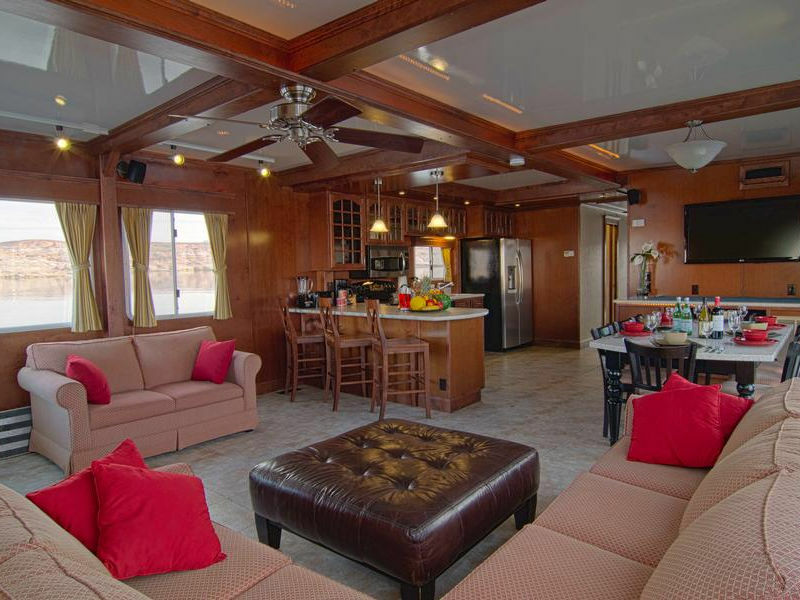 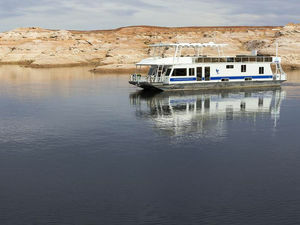 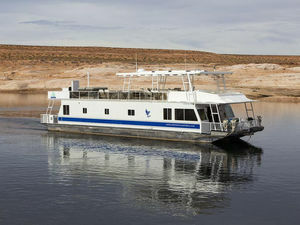 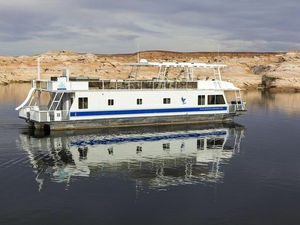 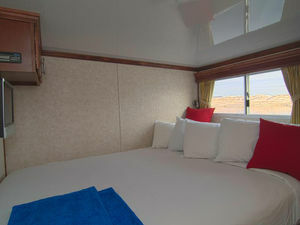 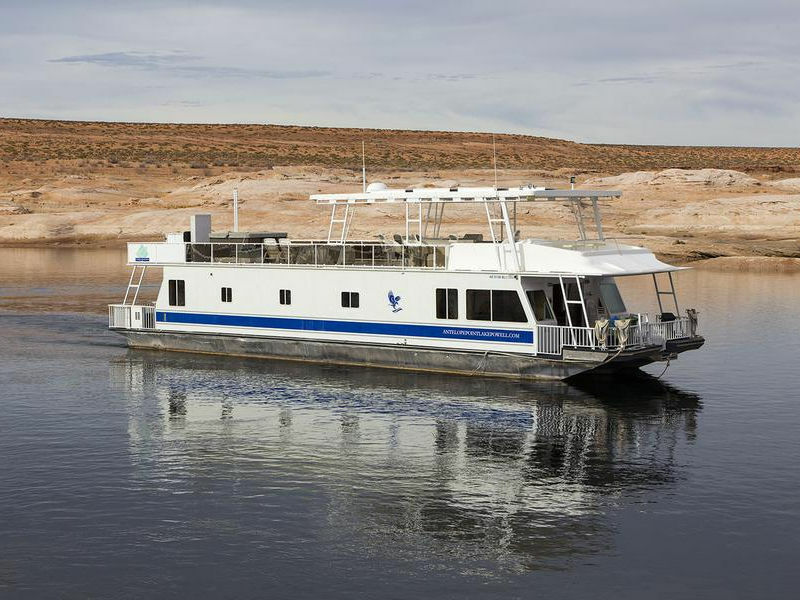 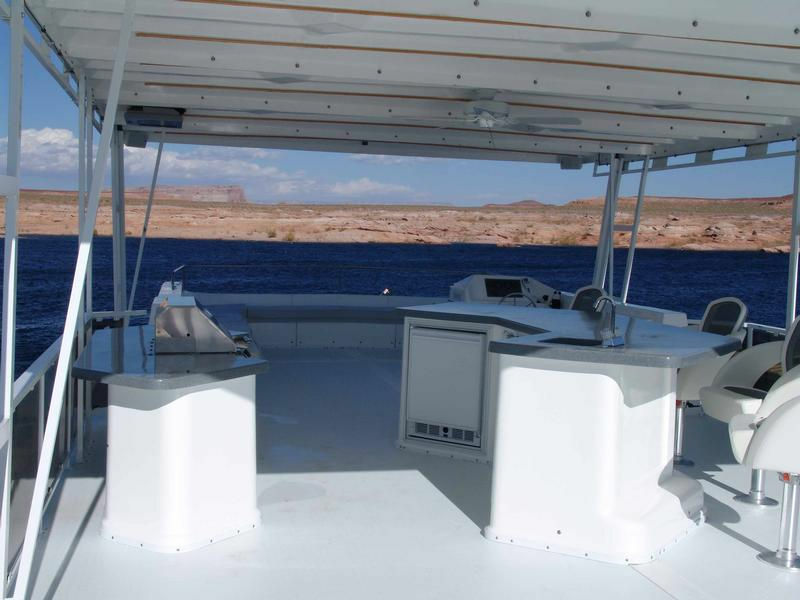 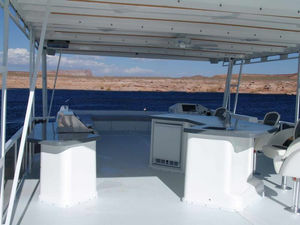 This houseboat provides the ultimate choice of luxury and comfort for the Lake Powell water enthusiast. Appointed throughout with luxurious comfortable features and furnishings, this craft is designed to accommodate large groups with room to spare. 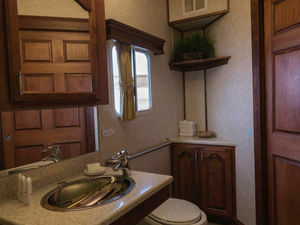 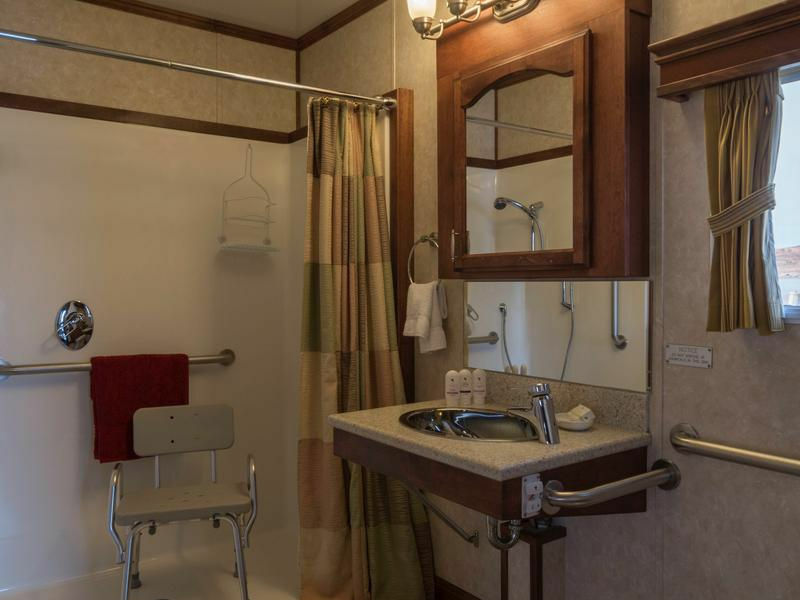 The 75' Platinum also offers many amenities including handicapped accessible features. 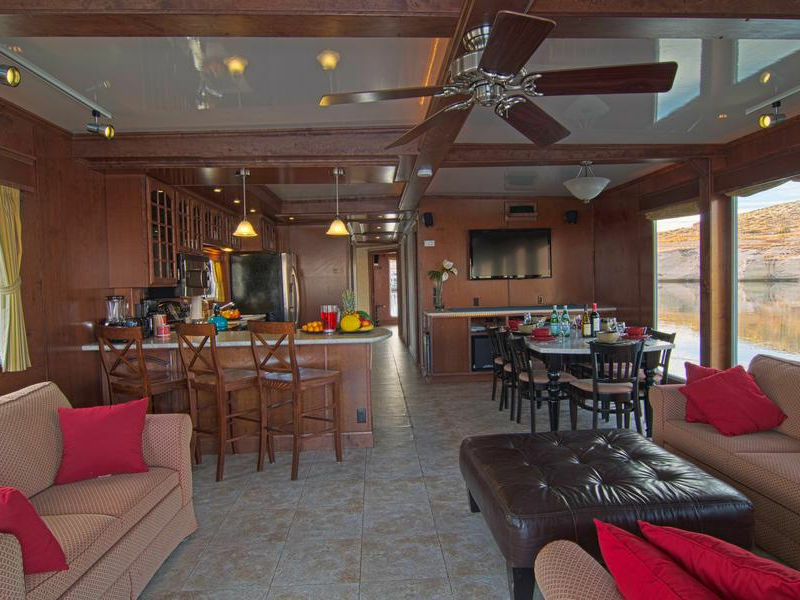 The main salon is bright and spacious with high ceilings, wrap-around windows and features a 45 flat screen LCD TV, a DVD player with a Yamaha surround sound system, Klipisch speakers and satellite TV for viewing while on the lake. 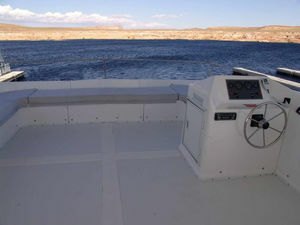 The main salon also features a fully equipped helm, including color GPS navigation, for easy piloting and a four zone camera system. 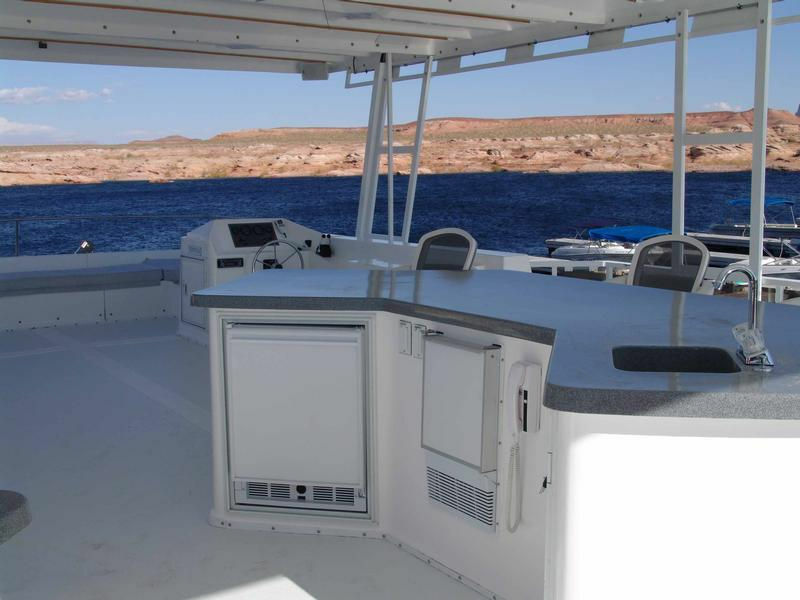 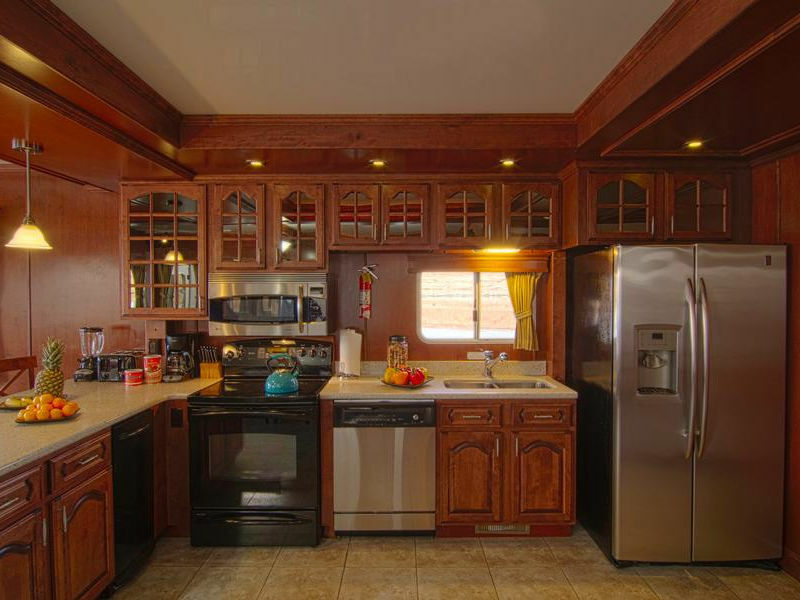 A fully equipped galley that rivals any modern household kitchen with a microwave, range, oven, dishwasher, trash compactor, refrigerator/freezer/ice maker, wine steward, and custom cabinets. The main cabin includes two full bathrooms, central heat and air conditioning, five private staterooms with queen-sized beds equipped with luxurious pillow top mattresses and linens. 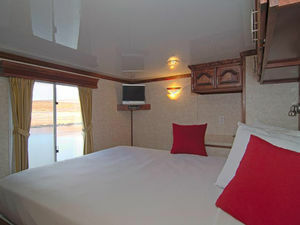 Each stateroom is equipped with a LCD TV, a DVD player and satellite TV. 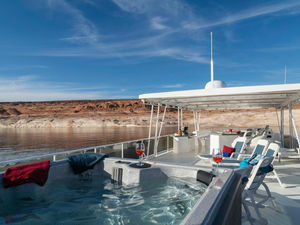 On the upper deck, take in spectacular 360-degree views and relax at the wet bar or in the unique whirlpool spa. 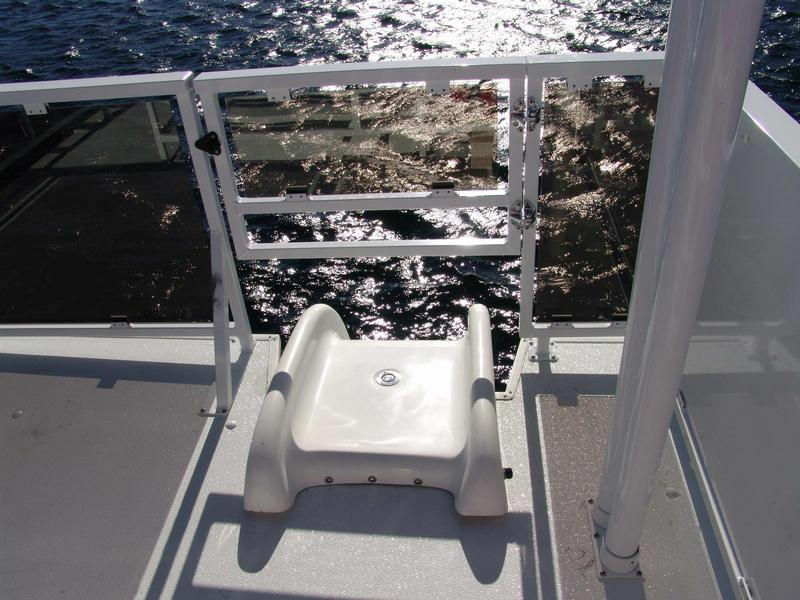 The upper deck has a second helm that most skippers prefer for open-water handling. 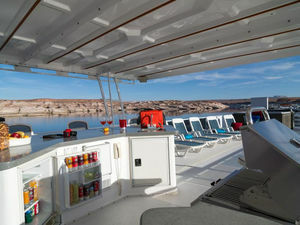 The upper deck includes a BBQ, a wet bar complete with sink, ice maker, refrigerator, intercom, swivel chairs, a sun deck stereo and the ever popular water slide.